Travel banking when you’re abroad can be confusing and costly. However, if you understand the basic principals of finance while traveling you’ll be able to save your hard-earned dollars. Which, in turn, can lead to more travel. This way you’re not stuck wondering about the best travel credit card or how to exchange foreign currencies and avoid ATM fees. This is especially true for those traveling on a budget. However, even the most luxurious of travelers will need to make “cents” of travel banking before going abroad. These banking tips are designed to save you money while traveling and prevent fraud. Many banks charge fees these days and at times it’s overwhelming for anyone not in the know. The first problem likely to drive any traveler mad is unnecessary ATM fees. It is common place for many banks to slap a fee and percentage for every withdraw from an ATM abroad. Fees can range from 1-5% of the transaction to even a couple of dollars per transaction. That could be a budget breaker for cash strapped backpackers or a price gouger for big spenders. The good news is it’s completely avoidable. When you do the math it’s easy to see how the dollars can add up. Say you pull $200 out at a time and spend $1600 dollars in cash during the course of your trip. If you’re getting hit with $4 fees from both the foreign ATM and your home bank withdraw on top of a 3% foreign transaction fee the costs add up. That $1600 could cost you around $112! There are a number of checking accounts and banks that offer no foreign transaction fees or a global ATM network. Two of the best options in the market for travelers is Charles Schwab and Ally Bank. A High Yield Investor Checking Account through Charles Schwab eliminates all foreign transaction fees and even offers ATM rebates. That means that not only will you not get hit with a fee, but they’ll actually refund fees imposed on you by foreign banks. This works anywhere in the world and is the choice for most serious travelers. It should be noted they do a credit check and require new customers to open a brokerage account. We have had this debit card for seven years and never travel anywhere without it. It’s one of the best debit cards for international travel. The second bank we recommend is Ally Bank. While they do not eliminate all foreign transaction fees they come pretty close. Their Interest Checking Account only charges 1% for some foreign currencies and they reimburse you up to $10 in ATM fees every billing cycle, so as long as you’re strategic with your ATM withdrawals you may never have a fee. It’s a great option to use for travelers who do not have the credit for a Charles Schwab account or would like a backup solution. Ally Bank is also completely online and we find it to be one of the best international banks for expats. They have 24/7 support and you can deposit checks and sync up other accounts with Ally at the drop of a hat. While we are not experts with banks outside of America we know many travelers choose to bank with HSBC. They offer global support and banking in almost 30 countries around the globe. There are many ways to exchange currencies, but the first step is understanding the current exchange rates. Luckily most of us carry an amazing tool to help us out, our smart phones. There are a ton of free apps that offer currency exchange, but we’ve stuck with the same over the last four years of travel. The XE Currency app is by far the best one on the market. I’ll never forget the look on some black market money changers in Africa when I pulled out the app in front of them as they were trying to scam us. It’s also a good idea to know a basic exchange rate before you land in a country. I once met a traveler who ended up paying $26 for a Big Mac in Dubai because he did not know the exchange rate. Check all rates on www.xe.com. You have a various number of options to exchange money. There are two ways we recommend. Using a debit card to withdraw cash from an ATM is the easiest way to get the local currency. You can find ATMs all over the world these days even small towns in Africa (trust us). We always choose to withdraw in the local currency and never in our home currency. That way the bank gives you a flat market exchange rate. There are number of banks and ATMs that offer to convert the currency for you before dispensing. Do not let this happen as it often ends in a poor exchange rate. We use our credit cards for every purchase we can. 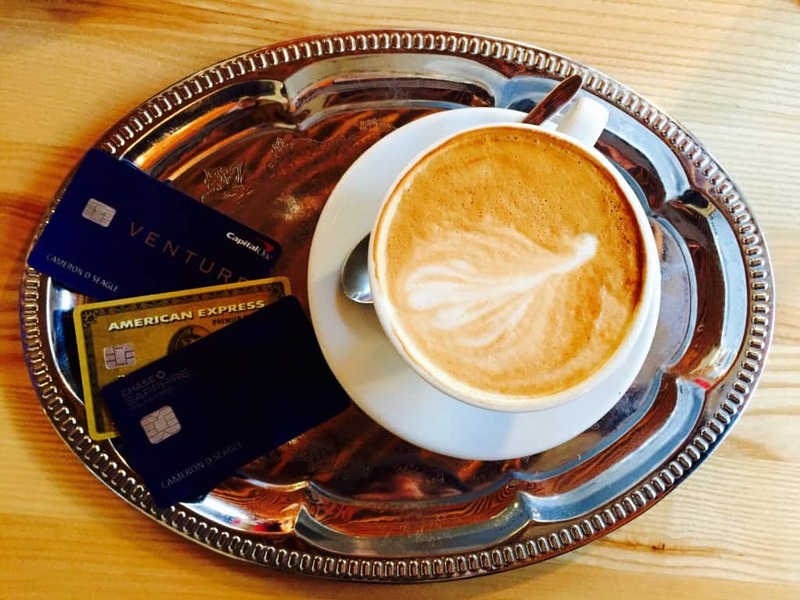 Our favorite is the Capital One Venture Rewards card, which offers purchase protection, no foreign transaction fees, and rewards redemption program. You can check out our other favorite travel credit cards you can earn rewards from. Which means not only do you receive a fair exchange rate, but you can earn up to 3% cash back. Many travel credit cards offer no foreign transaction fees and it’s just the same as paying in the local currency with a flat exchange rate. This all depends on where you are traveling as many parts of the world primarily use cash. I would say just about anywhere in the US, Europe, and even throughout Asia will let you use a credit card. Credit cards offer purchase protection! Here is the most simple way to think about purchase protection. When you use a debit card you are essentially writing a check or paying in cash electronically. However, when you use a credit card you’re taking a loan which means the bank must prove that you indeed authorized the purchase. This gives you great protection when it comes to fraud abroad. If you notice a charge on your credit card that you did not make you can call your credit card company and flag the charge. It is then up to them to close down the acccount and refund you for the unauthorized charge. These guys are more or less, crooks. You find these exchange booths all over the airport, city centers, and train stations. Exchange booths generally offer terrible exchange rates and silly money back guarantees. They’re exceptional for finding a way to tack on a commission even if you see a “no commission” sign. This is generally done by offering horrendous exchange rates banking on travelers ignorance and desperation for cash. Not only are money changers illegal in many parts of the world, but some can be straight up crooks. We avoid these guys at all costs, unless in an extreme situation. Money changers are prevalent around land borders and try to catch you in situations in which you’re forced to change money with them. On our recent overland trip in Africa, borders were a downright nightmare with ATMs and legitimate banks being few and far between. However, there was no shortage of money changers. The best way to deal with these guys is to hide all cash and never hand them cash until agreeing to a rate beforehand. Even after you agree you must check your cash in hand as they may try and scam you further and give you wrong amounts of cash. You have to be firm, observant, and stern with any money changers. We burn through a lot of cash when we travel because it’s still the one thing universally accepted. Many developing nations still operate on cash payments. The problem with cash is that it’s susceptible to theft and can make you an easy target. In our most audacious travels, we carry $1000 in emergency funds, but generally only travel with about $200 in excess cash. There are a number of ways for first-time and experienced travelers to protect your cash. There are a number of products on the market that are designed to hide money such as bras, money belts, and silly money necklaces. I prefer to keep a travel wallet in my front pocket and keep an eye on my waist in crowded areas, while Tasha will stash money in her bra. It may not be as “secure” as the anti-theft options, but I don’t run the risk of forgetting a new habit and leaving a money belt in my hotel room. We recommend stashing emergency cash in your luggage, backpack, or suitcase. There are a number of great places to stash cash that we recommend. In hotel rooms it is always a good idea to use the hotel safe. We use them religiously after having cash stolen from our wallets in the hotel room while we were at breakfast. It might sound easy to accuse the cleaning staff, but it’s best not to present the opportunity as many maids work in harsh conditions and you may not notice items missing until you are long gone from your hotel anyway. If someone is stealing they more than likely need the money more than you so best not to present the opportunity and lock your valuables away. The rates of financial fraud increase every year. However, if you’re savvy and protect yourself you’ll be able to protect your finances. We keep three bank accounts each at least. It’s always best to keep your finances divided. A great place to start is to utilize a travel checking account, savings account, and personal checking account. I typically keep around $500-1000 in my travel account and transfer over money as needed to a checking account that I can withdraw from. The bulk of your money should reside in a savings account like Ally Bank’s Online Savings Account. I recommend keeping the account separate from any other checking accounts and cards. That way there is nothing physical to steal linked to the account. The Ally Bank savings account currently offers 1.15% interest which is leaps and bounds better than any other savings account on the market. With just $10,000 in your savings account, that means another $150 every year! You need to make sure your online banking sessions are always secure. We never log in to our banks in public and avoid using public and unsecured WiFi. Always ensure your connection with your bank is secure and choose complicated passwords that are hard to guess. Take a look at your daily spending habits and then set a limit on both your credit cards and bank accounts. This means that even if your bank account or credit card is compromised the crook can only make away with a set limit. Card skimming is a popular form of fraud and it involves making a copy of your card that can then be used anywhere. To avoid this pay at the terminal with your credit card and keep eyes on it at all times. It’s always best to inform your bank and credit cards of your travel plans. This way when you arrive at your destination your credit and debit cards are working properly. Informing the bank also ensures they can better monitor fraud activity. At the end of the day, you’ll live. We traveled all over the world and have never been victims of fraud, pickpockets, or robbery. The worst we’ve seen is 80 dollars lost in a hotel room. If you follow these tips it will be easy to make sense of banking when traveling and ensure you save your hard money. Which means you can travel more for longer!